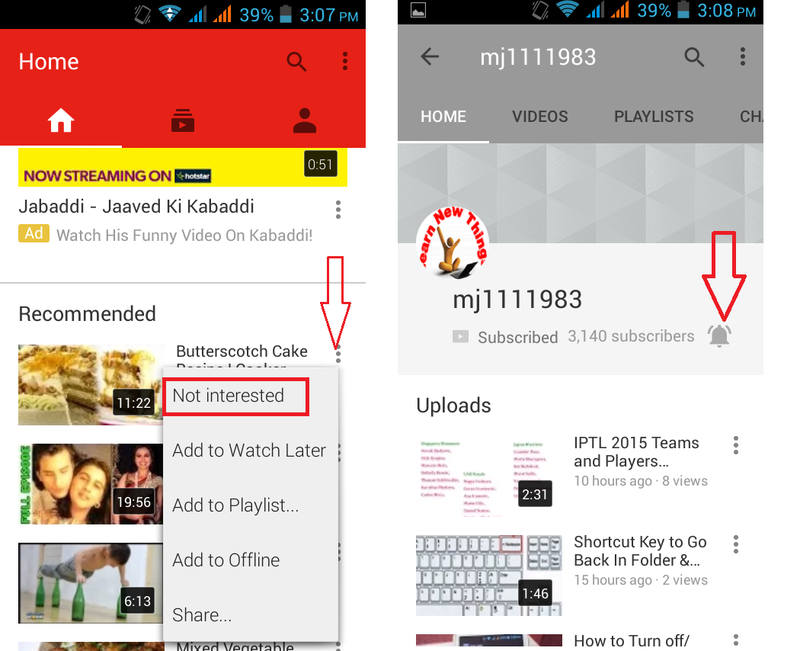 Youtube updated with some new cool feature and looks, in the home screen there are three buttons added, Home, Subscriptions and Account, the good thing is you can access subscription and account setting direct from home screen. 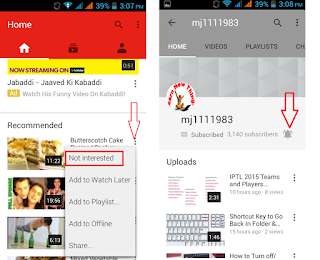 Other option is, if you don’t like to see any recommended videos in your home, you can remove that. Just tap on video setting and tap on “Not interested”. One more cool feature is you can get all notification of your favorite subscription, go to subscription and tap on “Notification icon” for Turn Off and ON all notification from your subscription channel.